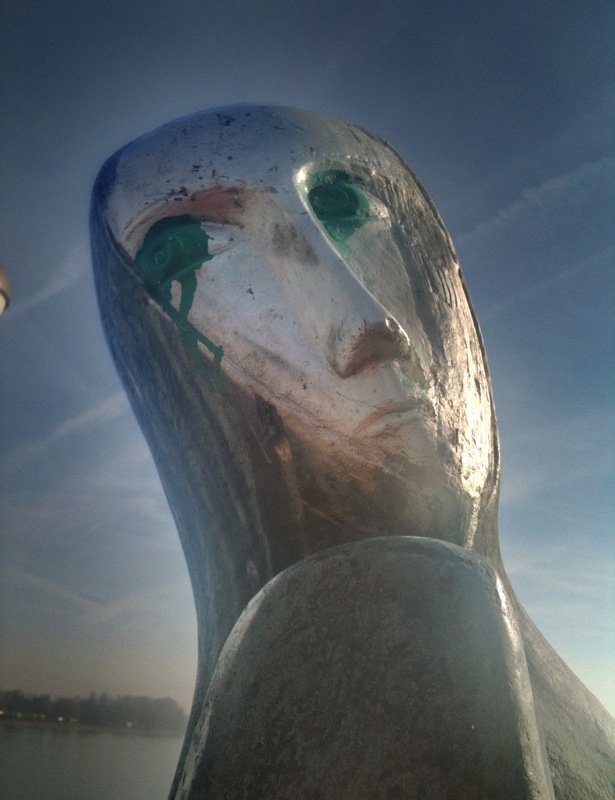 I’m in two minds about Emy Roeder, the Mainz sculptress. On the one hand, I rate her work untold – this is the “Tripolitanerin” from 1961 on the banks of the Rhine. On the other hand, the road they named after her is home to the local office of the Finanzamt/HM Revenue and Customs/IRS (or whatever it is you call it in your neck of the woods) and it’s normal for any right thinking person (i.e. non- civil servants, professors, students and similar excluded) to have an aversion to those bloodsuckers. “Tripolitanerin” (which always reminds me of Tipitina’s, the music place in New Orleans named after Professor Longhair’s song [listen]) comes from Tripolitanien (Greek: Tripolis = “Three cities”), one of present day Libya’s three historic provinces, the others being Kyrenaika and Fessan. 20 Feb	This entry was published on 20 February, 2011 at 12:00. It’s filed under Art, Mainz and tagged emy roeder, Tripolitanerin. Bookmark the permalink. Follow any comments here with the RSS feed for this post. >Great light and background. Are the green patches part of the artwork or vandalism? >jb, Terrific music to accompany a great photo! It's the kind of music I loved for dancing as an adolescent and young adult…now? damned knees!Are the green eyes part of the original? ?